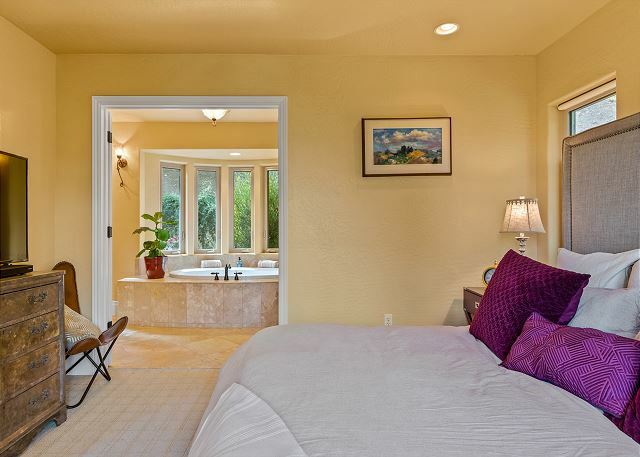 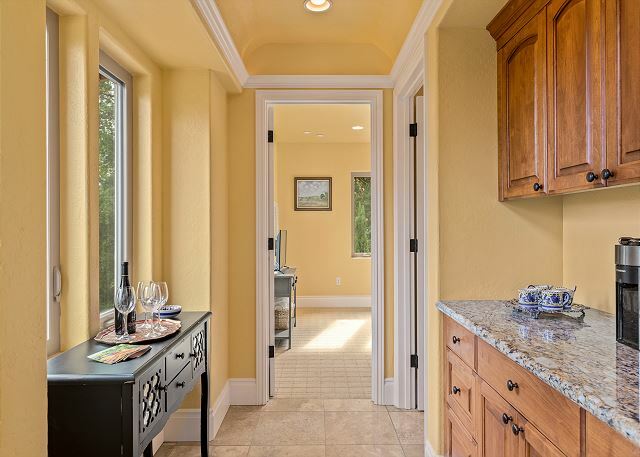 Welcome to heavenly Healdsburg and Hilltop's Vista Villa! 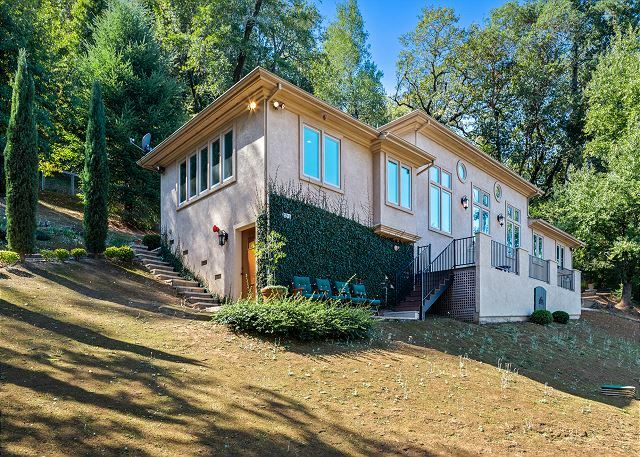 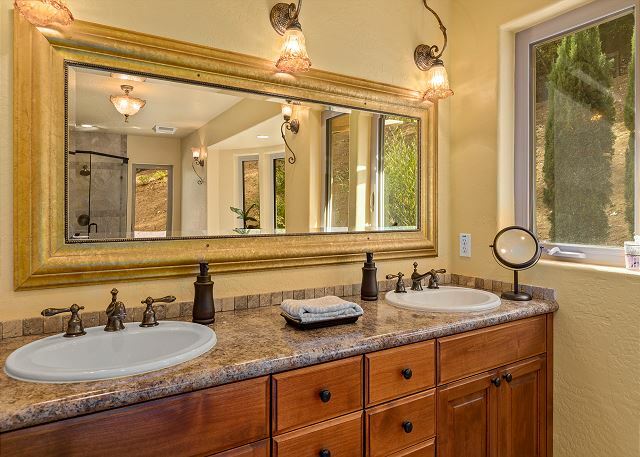 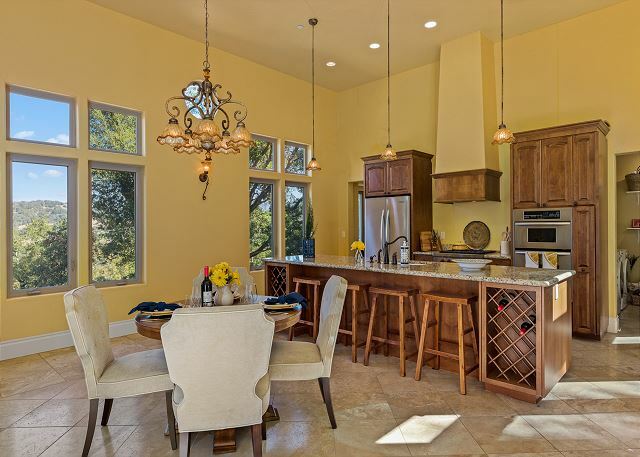 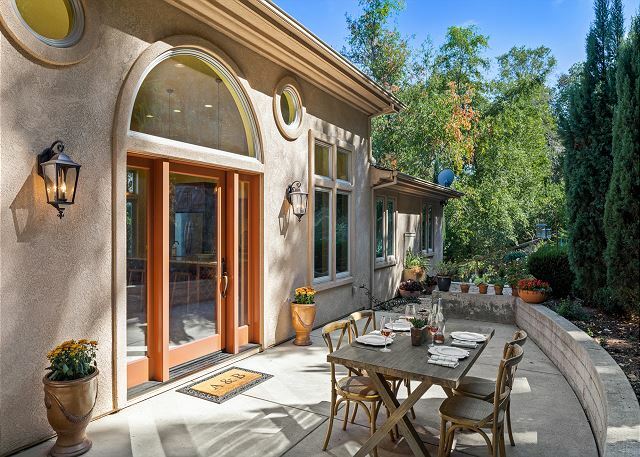 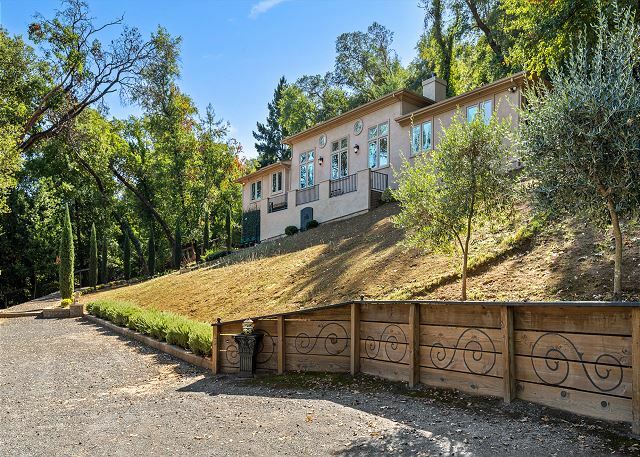 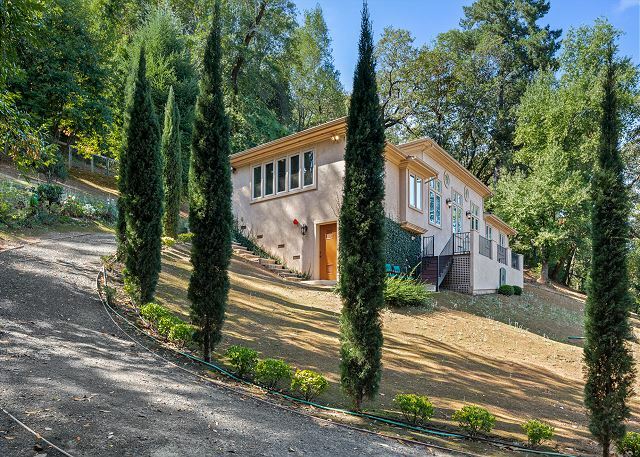 This gated 2-bedroom, 2-bath luxury Tuscan inspired villa is ideally located only 3 miles from the historic Healdsburg plaza on one hillside acre near the top of the east side of Fitch mountain and is the only home this close to the top! 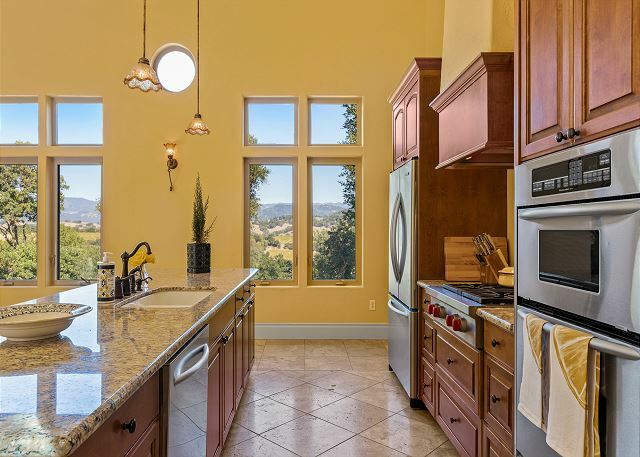 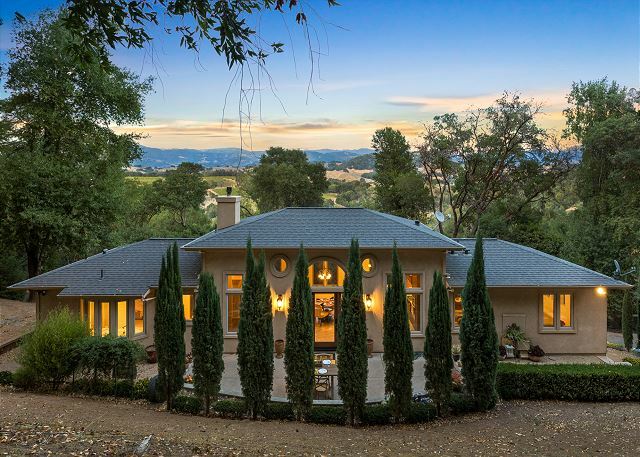 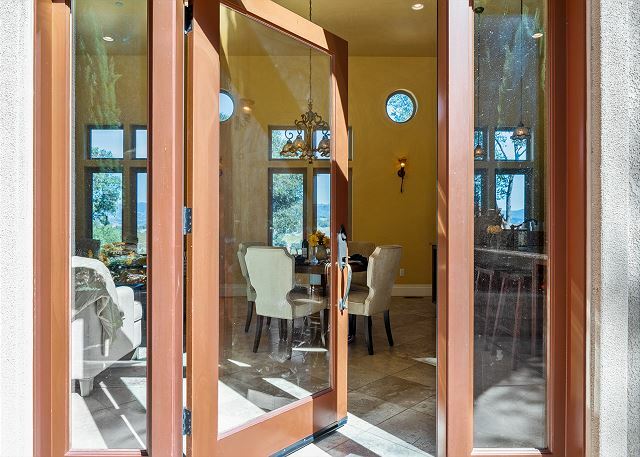 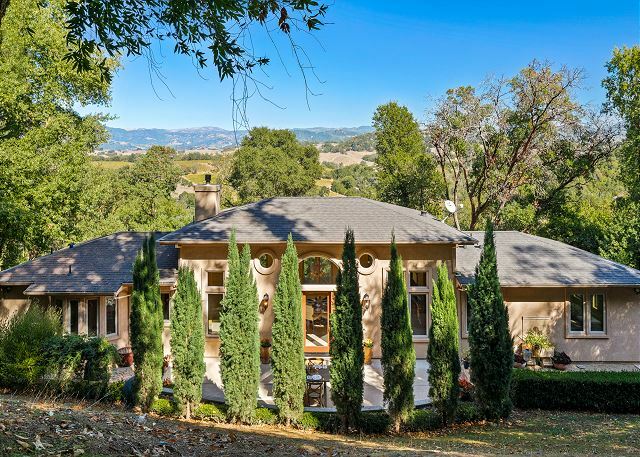 This beautifully appointed, very private and serene home sits adjacent to the Fitch mountain hilltop preserve (Hiking trail to the top of Fitch Mountain is literally at the end of the driveway) with hiking trails and exquisite views of the Alexander Valley’s thriving vineyards and lush forests to the East. 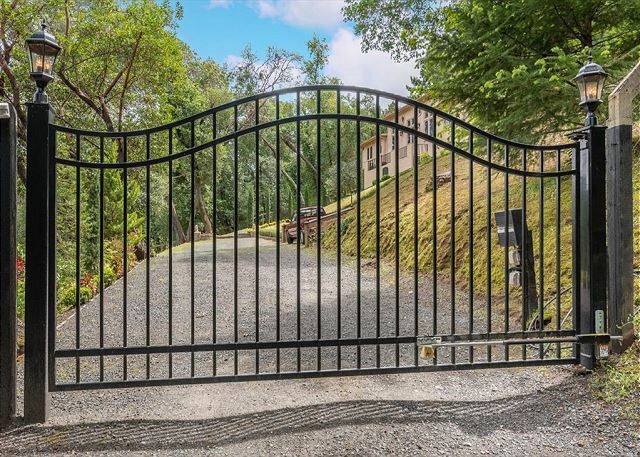 Through the gate, park in the lower drive, and walk up the steep-sloped, decomposed granite pathway to this magnificent home. 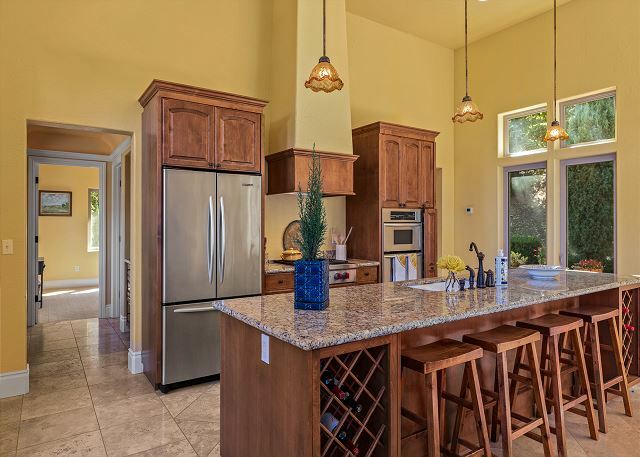 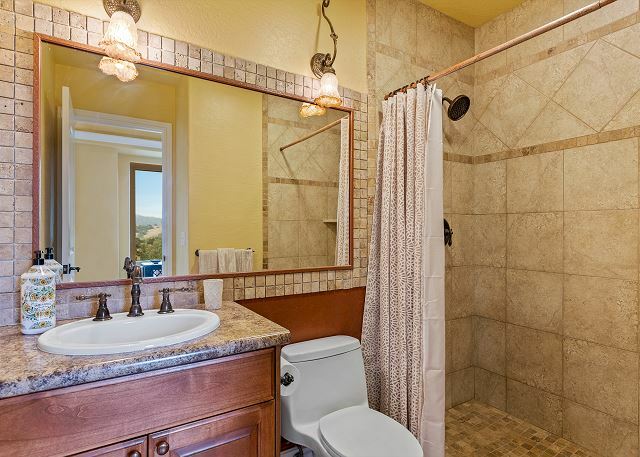 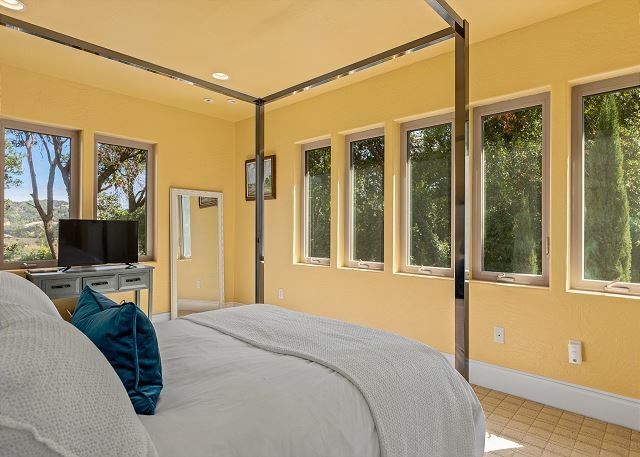 Inside you will find a wonderful open floor plan with travertine tile flooring, vaulted ceilings throughout, central heat and AC and bedrooms at opposite ends of the home to maximize guest privacy. 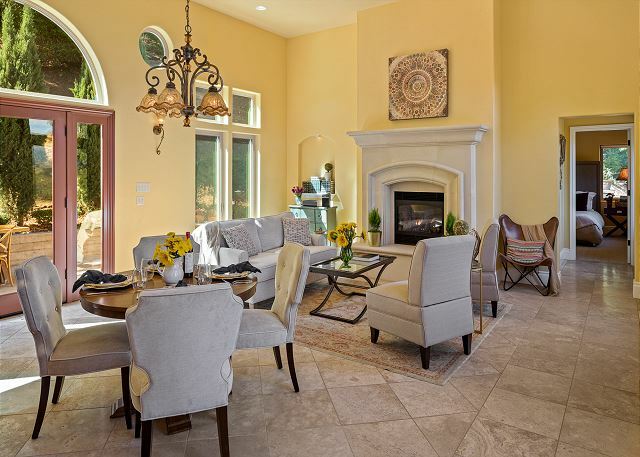 Enter the gorgeous Great Room, exquisite gourmet kitchen and beautiful living Room area. 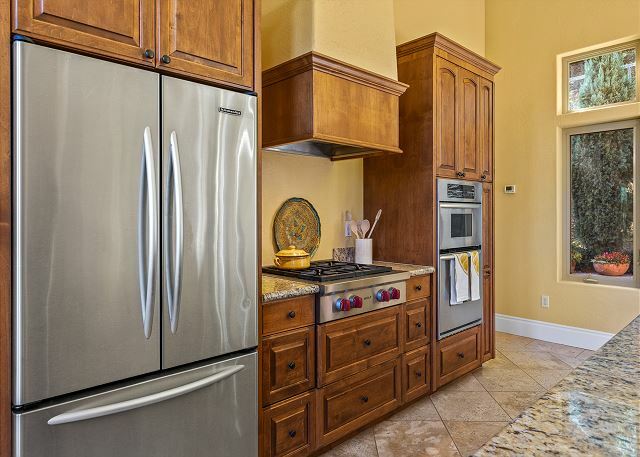 Sure to please the most discriminating of chefs, the gourmet kitchen features granite countertops and all stainless steel appliances, including a Wolf range and abundant cabinetry. 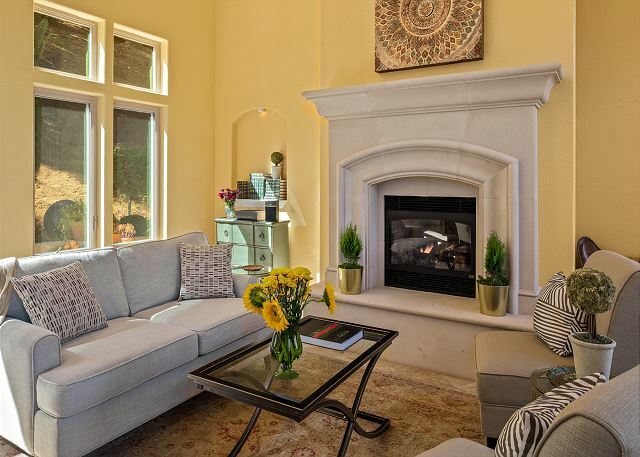 The living Room space is lovely with similar stunning views to the East as you would experience from the hiking trails, only from the comfort of this stunning living room! 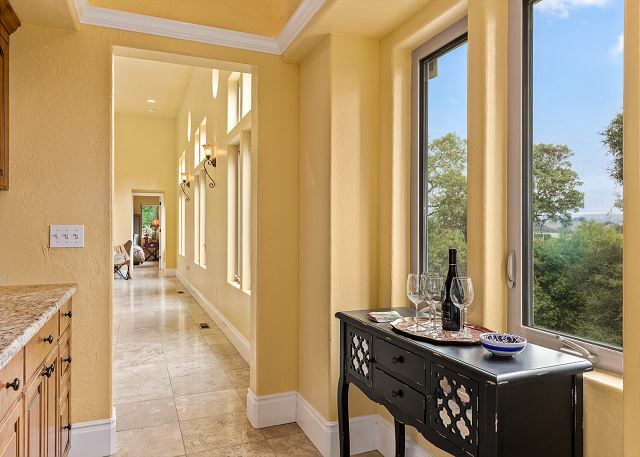 A wonderful room to curl up with a loved one, after a delightful meal, with a nice bottle of wine and take in these breathtaking views. 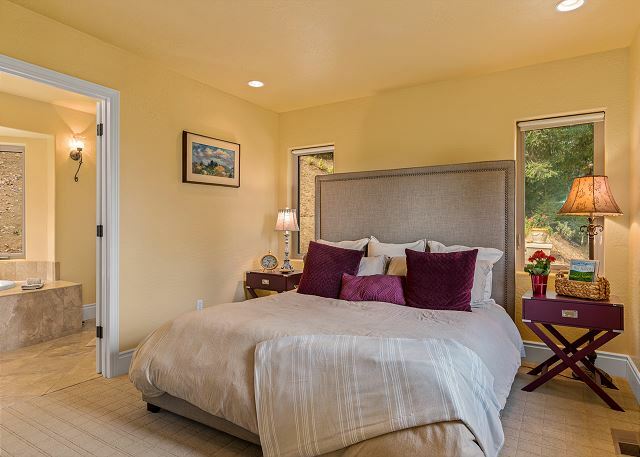 Then take the long hallway to the left for the master bedroom and ensuite bath with a comfortable new king size bed, luscious linens and bedding and a new large screen HD TV. 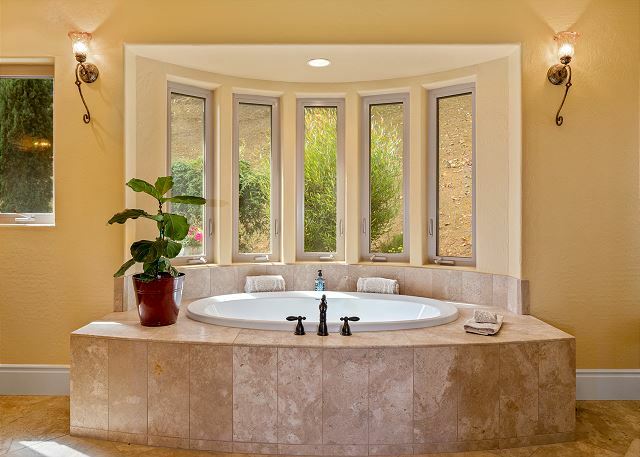 The ensuite bath is divine with a large soaking tub, dual sinked vanity and a free-standing shower.